After Fredrik Gertten’s documentary on 12 Nicaraguan plantation workers, BANANAS, is pulled from competition at the LA Film Festival, Gertten receives a letter from Dole’s attorneys threatening legal action if the film is shown at this festival and to cease and desist. What follows is an unparalleled story that Gertten captured on film. He filmed this entire process of corporate bullying and media spin – from DOLE attacking the producers with a defamation lawsuit, utilizing scare tactics, to media-control and PR-spin. 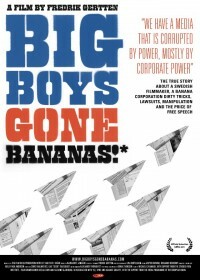 BIG BOYS GONE BANANAS! 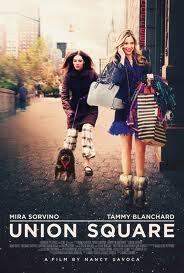 * can be seen as a thriller and a cautionary tale. But, mostly this is a personal story about what happened to Gertten, as a documentary filmmaker and to his company and how the livelihood of documentary filmmakers can be easily put into jeopardy. Director Fredrik Gertten talks to us about his film and how a multinational will stop at nothing to get its way even when freedom of speech is at stake. Egon Schiele’s tender picture of his mistress, Walburga (“Wally”) Neuzil, is the pride of the Leopold Museum in Vienna. But for 13 years the painting was locked up in New York, caught in a legal battle between the Austrian museum and the Jewish family from whom the Nazis seized the painting in 1939. 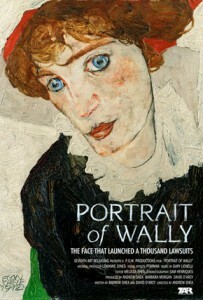 The documentary traces the history of this iconic image – from Schiele’s gesture of affection toward his young lover, to the theft of the painting from Lea Bondi, a Jewish art dealer fleeing Vienna for her life, to the post-war confusion and subterfuge that evoke THE THIRD MAN, to the surprise resurfacing of “Wally” on loan to the Museum of Modern Art in Manhattan in 1997. The 13-year war over “Wally” was more than a dispute over property stolen from Jews during the Holocaust. It was a battle over history and memory. This time, the truth won. Director Andrew Shea talks about his own journey through the looking glass world of art and commerce. Seinfeld mocked it. Letterman ranked it in his top ten list. And more than fifteen years later, its infamy continues. Everyone knows the McDonald’s coffee case. It has been routinely cited as an example of how citizens have taken advantage of America’s legal system, but is that a fair rendition of the facts? Hot Coffee reveals what really happened to Stella Liebeck, the Albuquerque woman who spilled coffee on herself and sued McDonald’s, while exploring how and why the case garnered so much media attention, who funded the effort and to what end. 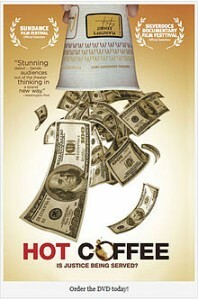 After seeing this film, you will decide who really profited from spilling hot coffee. Director Susan Saladoff joins us to talk about her film, “tort deform” and the influence corporations have over our legal system. Director Pashrant Bhargava joins us to talk about his award winning first feature film, PATANG. A poetic journey into the old city of Ahmedabad, PATANG weaves together the stories of six people transformed by the energy of India’s largest kite festival. Every year a million kites fill the skies above Ahmedabad–dueling, soaring, tumbling and flying high. When a successful Delhi businessman takes his daughter on a surprise trip back to his childhood home for the festival, an entire family has to confront its own fractured past and fragile dreams. Music and fireworks, food and laughter, a kaleidoscope of color and light, the magic of the kite flying high – a traditional recipe of healing and renewal. 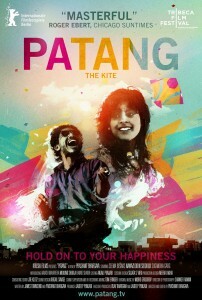 With naturalistic performances from actors and non-actors alike, bold, lyrical editing, vibrant cinematography and a kinetic score, Patang delights the senses and nourishes the spirit. 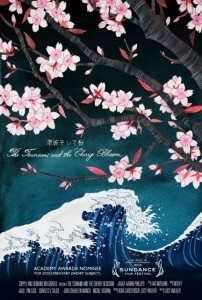 Lucy Walker’s (Waste Land) powerful, Academy Award nominated documentary film about the survivors in the areas hardest hit by Japan’s recent tsunami find the courage to revive and rebuild as cherry blossom season begins. Producer Kira Carstensen will be joining us to talk about challenges filming an intimate portrait of Japanese resolve and resilience so soon after the crushing tragedy of March 11, 2011. 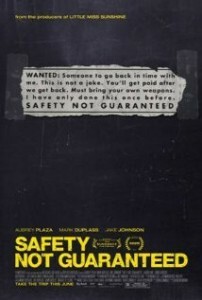 Safety Not Guaranteed director Colin Trevorrow joins us for a freewheeling conversation on writing, cast and directing his first feature film. When an unusual classified ad inspires three cynical Seattle magazine employees to look for the story behind it, they discover a mysterious eccentric named Kenneth, a likable but paranoid supermarket clerk, who believes he¹s solved the riddle of time travel and intends to depart again soon. Together, they embark on a hilarious, smart, and unexpectedly heartfelt journey that reveals how far believing can take you. The cast includes, Aubrey Plaza, Mark Duplass, Jake Johnson, Karan Soni.